As promised earlier in the Percy Jackson official Facebook book series page, a new of Percy Jackson: Sea of Monsters clip has been released. It features the demigods, especially giving emphasis on Grover where he is wearing the iconic wedding dress! The admin from the said page got it right: Grover's having a really bad day! What's worse than being used as a bait and placing your self into mortal danger, right? I know: wearing a wedding dress and playing the wife of a ferocious Cyclopes, who might eat you anytime you are discovered as someone appetizing. 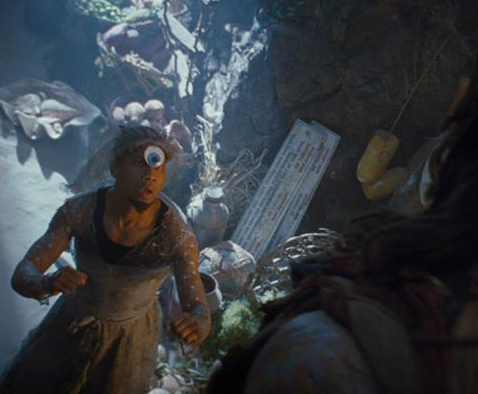 Watch the new Percy Jackson: Sea of Monsters clip, featuring Grover in a wedding dress. In five days we will be able to watch Percy Jackson: Sea of Monsters in the big screen. Can't wait for August 7, 2013.